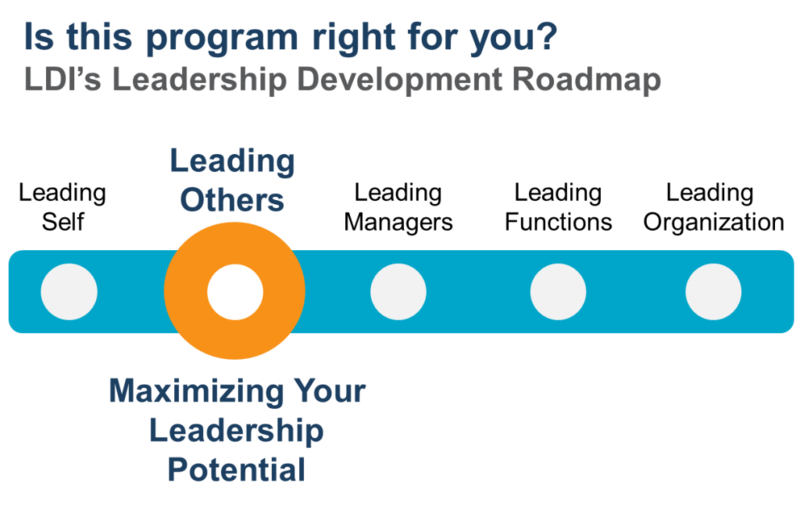 Maximizing Your Leadership Potential (MLP) is for first-level managers, newly-promoted managers early in their careers and individual contributors, as well as more experienced managers who would benefit from training in the fundamentals of leadership development. Created by the Center for Creative Leadership (CCL®), this dynamic three-day program addresses the specific leadership challenges of first-time managers and prepares them to achieve results by leading others. In addition, participants work on two issues that are particularly challenging for most first-time managers: managing conflict and building relationships. Senior MLP Trainer Dr. Julia Welch discusses how the MLP helps first-time managers leverage skills for future success.